Available in 16cm, 18cm, 20cm or 24cm. Please choose from the dropdown box below. 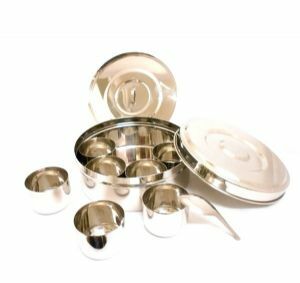 This Solid Masala Dabba Spice Tin is one large stainless steel outer pot with 7 small inner pots inside to store your different spices. It has one solid inner lid to cover the 7 pots and then a solid outer lid to close. An Indian Spice Tin Masala Dabba is used to store spices. Most Indian households will have at least one in use storing the most commonly used spices so everything is to hand in one tin instead of opening up 7 different pots/packets. Bought 2 of these at christmas for present, very well received. 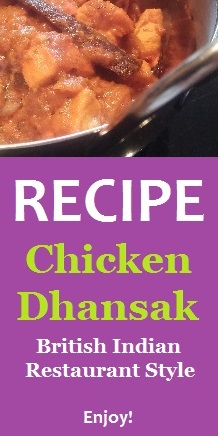 I am here to write a second review after putting my first review on the wrong masala dabba. Anyway I have just received my 3rd one ordered which came today. Pleased as Punch with it! Bought the Chef size one which came with good deep cups inside, no filling it every 5 minutes. As I said elsewhere the stainless steel quality is good, better than others I have seen and there are no sharp edges. I love the inner dust lid, you can take the outer lid off and keep it covered from dust, damp or grease. I also like solid lids as spices are not meant to be kept in the dark to preserve colour and flavour. Plus, and I do really like this the inner lid is a few centimetres deep the top and thereby allows more storage of cinnamon sticks, basil leaves, curry leaves, methi leaves etc....it really does hold a lot! I am a very happy bunny, all ready to cook!